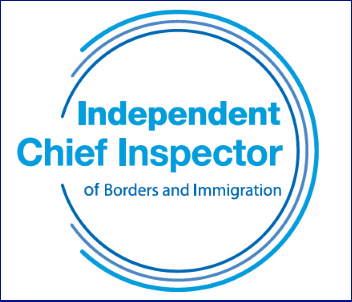 The Independent Chief Inspector of Borders and Immigration last week released his latest inspection report, which examines collaborative working between the Home Office and other government departments, including in areas such as data sharing. You can read the 64-page report here. The Home Office's formal response to the report is here. In his report, the Independent Chief Inspector, David Bolt, looks at how efficiently and effectively the Home Office collaborates with the Department for Work and Pensions, the Department for Education, the Department of Health and Social Care, and Her Majesty's Revenue and Customs. David Bolt was concerned to find that the Borders, Immigration and Citizenship System (BICS) directorates were working with other government departments (OGDs) without an "overarching strategy". The report states: "the inspection found no evidence of an overarching BICS strategy for collaborative working with OGDs, and the fact that the Home Office was unable to provide inspectors with a complete list or directory of partnership agreements or specific collaborations was indicative of a generally piecemeal approach. "As a consequence, the Home Office had no means of assessing, or even articulating, the overall value BICS derived from OGD collaborations, or of understanding what more value it could gain from them and how to go about this. Equally, BICS did not capture centrally where another department relied on it to deliver the department's objectives and how the Home Office might ensure and enhance the support it provided." While the scope of the inspection did not cover the Windrush scandal, it does feature in the report as a postscript, with the Independent Chief Inspector noting that it had led to a change in some Home Office data-sharing agreements. The report states: "Windrush does point up some of the challenges of inter-departmental data sharing. It has been suggested that data sharing between the Home Office and OGDs, of the sort envisaged for the EU registration scheme, might have helped some Windrush individuals to prove their continuous residence in the UK, and that requiring people to produce comprehensive documentary evidence was both unnecessary and unfair if this information was already held by another department. At the same time, opposition to the government's compliant environment measures, which rely to a large degree on data sharing and matching, and have been blamed for creating the conditions that led to Windrush, has questioned whether Home Office records are accurate enough to be shared." The Independent Chief Inspector makes three recommendations in his report with the aim to achieve better oversight, coordination and value from Home Office collaborations with other government departments. The Home Office, however, only partially accepted two of the recommendations and rejected the third. David Bolt said: "[The Home Office] has questioned whether an overarching strategy, uniformity and centralisation are inherently useful in a decentralised system, to which my answer is possibly not. However, I would argue that the BICS system would benefit from being less decentralised, at least in terms of its knowledge and information management and how it presents itself to others. "The Home Office has also questioned whether the scope of this inspection and the examples of collaboration that were examined present a complete picture of its work with others. I agree that failure to understand the complexity of the issues and to engage with all relevant parties are risks for any inspection and that, had the Home Office raised this at the appropriate time, this inspection might have benefited from other inputs."